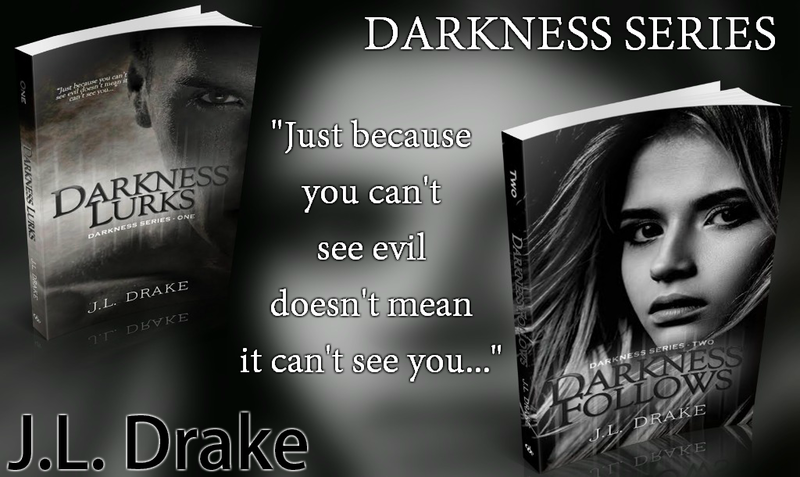 DARKNESS FOLLOWS by JL DRAKE is available for purchase!! 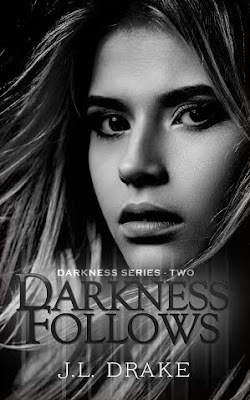 Despite the protection of her boyfriend Seth Connors and his colleagues with the Orange Police Department, Emily is imprisoned in a basement by her psychopathic stalker Jimmy Lasko. His bizarre behavior adds to her terror, and a video link forces Seth to witness her captivity, leaving him feeling helpless as he, the OPD, and the FBI search for her. Though Emily escapes the basement, the threat is far from eliminated. In fact, things she learned while being held by Lasko lead her to believe he isn’t working alone. Lasko is still out there, determined to get her back, and crazier than ever. 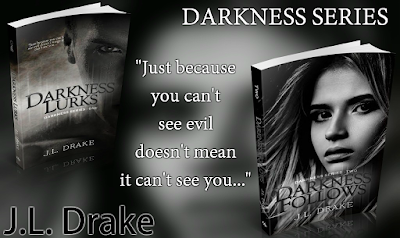 If he does have a partner, Emily has no idea where the threat might lie or who she can trust. It’s impossible to live a normal life when family ties become tangled. Emily is deeply hurt when Seth is reminded that their relationship might endanger her further and he pulls away again. She’s even more frustrated when her globe-trotting mother returns and is charming to everybody…except her own daughter. When Emily meets Seth’s family, she loves his mom and little sister, isn’t sure what to make of his flirtatious brother—who is also a cop—and finds herself very uneasy around his father, who is a powerful attorney. Sometimes things seem very clear…until you look more closely. DARKNESS FOLLOWS is Book TWO in the DARKNESS SERIES by J.L. Drake​! J. L. Drake was born and raised in Nova Scotia, Canada, later moving to Southern California where she lives with her husband and two children. When she's not writing she loves to spend time with her family, travelling or just enjoying a night at home. One thing you might notice in her books is her love for the four seasons. 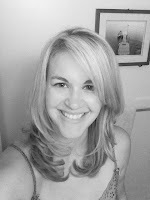 Growing up on the east coast of Canada the change in the seasons is in her blood and is often mentioned in her writing.